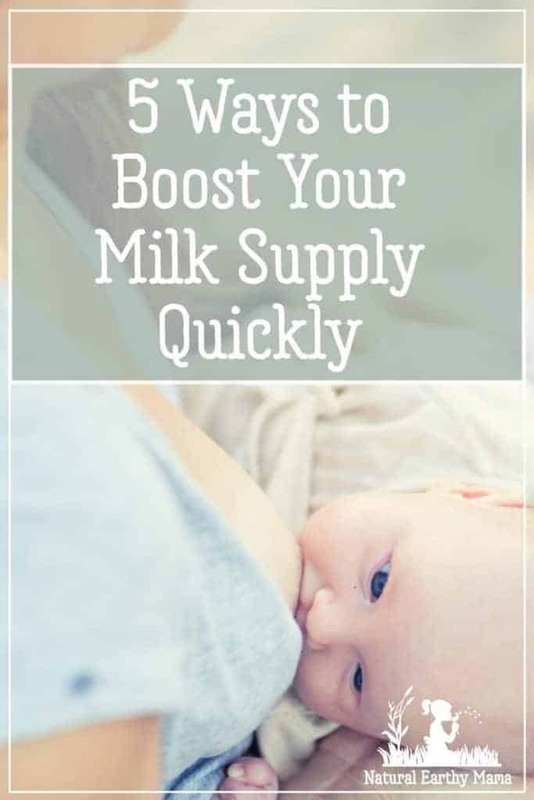 Whether you have know low breast milk supply, or you just need to boost your milk production, here are 5 ways you can see results, fast! 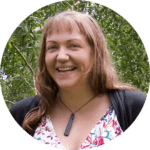 Just because your breast milk supply is ample now, does not necessarily mean you will not struggle with low milk supply over the next few months. And just because you had lots of breast milk for one baby does not mean it will be the same for the next baby. There are many causes of low milk supply, if you think you are struggling, check out the 5 common signs of poor breastmilk supply. It seems so simple doesn’t it? The reality is busy moms seldom stop long enough to drink enough water to stay hydrated, let alone enough to feed a baby as well. This is one of the most common reasons women are struggling with keeping up with baby’s hunger. It is also one of the easiest things to fix. Ideally you will be drinking about 3 quarts of water per day. The best way I have found to make sure I am drinking enough is to have two thermal bottles on the go – on in the refrigerator, and one beside me in my breastfeeding box. Find out here what else I keep in my breastfeeding box. If you aren’t a huge fan of plain water, try adding a slice of lemon, some mint leaves, slices of cucumber or watermelon. You can buy all of these separately, or take the sensible (and cheaper) path and buy them as a combined capsule like MilkyMomma. Milkymomma has been shown to increase milk supply significantly in most of it’s users and it is an affordable, effective way of quickly increasing your milk supply. You cannot give what you do not have. After having a baby, your body needs plenty of protein to provide the building blocks for skin and muscle. You also need ample natural fats (not soy, canola or corn) to provide a foundation for your body to make your own hormones as well as to provide the fatty part of your milk to nourish your baby. Babies need lots of fat to grow their brain and nerves as these are made up of 60% fat! Here is more information on eating a high nutrient diet for breastfeeding. While you are breastfeeding it is a good idea to take a daily multivitamin. This helps to ensure that you are getting the right amount of all the micro nutrients that our modern foods are lacking in. I like the NATURELO Whole Food Multivitamin as it is taken from whole food sources. Your body has an amazing feed-back loop built in to it. The more your baby feeds, the more milk your body will make. 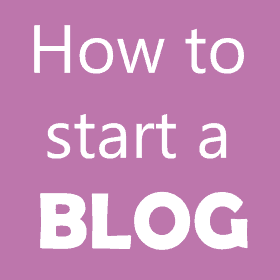 Try to increase your feeds from 3 hourly to 2 hourly for a day or two and see how you go. At the end of each feed gently but firmly compress your breast as the baby feeds. This helps to ensure that your breasts are fully emptied at each feed to encourage your body to make more milk. Lactation specialist Dr Jack Newman has instructions on breast compressions here. At the end of each feed or in between feeding times, sneak in a little pumping session. If you are exclusively pumping, try and pump every two hours until a good supply is established. Pumping for 5-10 minutes at the end of a feeding session, or in between feeds will signal your body that it needs to make more milk. pumping on both breasts at the same time is what is referred to as “double pumping”. Double pumping is much more effective than trying to do one side at a time. Invest in a good quality double breast pump, you will thank me for it later. A poor quality pump really just doesn’t do the job as well, as effectively or as comfortably AND doing both sides at once takes half the time! There is no rule that says baby can only feed from one side at a time, or that you should only feed from each side once in a sitting. You can swap from one side to the other and back again over and over if you need to. This is a great way of encouraging your body to produce more milk quickly and it can be very effective. If, after a week of trying these things, you are not noticing enough increase of your milk supply, you really should talk with a lactation consultant. Working with a doctor or lactation consultant, you can trial taking domperidone. Domperidone is an anti nausea medication that as a side effect, boosts your lactation. It is effective in most cases, and it has very few side effects. However you do need a prescription for it. It works most effectively when combined with all of the above techniques as well, especially herbal supplements. Babies learn to breastfeed by breastfeeding. Mama learns to breastfeed by breastfeeding. This is the exact SNS that I have used for all of my children. I found it absolutely fantastic, and with some good support, herbs, pumping and some domperidone I was eventually able to exclusively breastfed all my kids. I am currently drinking Healthy nursing tea. I started leaking excess milk immediately at my next nursing. AND hear baby swallowing a lot more. I’ve been using this once in the morning and once before bed and my 2 month old has gone from sleeping in 3-4 hr blocks at night to sleeping for 7 straight hours before she wakes up hungry.